As Hurricane Katrina pounds the south, with damage estimated in the billions of dollars, businesses are forced to activate disaster plans, backing up systems and many are already trying to deal with the aftermath. This brings to mind how often many businesses are not fully prepared for catastrophic events. There is an enormous amount of information available about how to go about it. I’ve listed just a few sites that offer tips and checklists. Something to think about. SBA’s Disaster Preparedness Considerations on the SBA website offers tips on creating a disaster planning toolkit covering issues such as operations, insurance and communications. The first observance of Labor Day is believed to have been a parade on Sept. 5, 1882, in New York City, probably organized by Peter J. McGuire, a Carpenters and Joiners Union secretary. By 1893, more than half the states were observing a "Labor Day" on one day or another, and a bill to establish a federal holiday was passed by Congress in 1894. President Grover Cleveland signed the bill soon afterward, designating the first Monday in September as Labor Day. Number of people age 16 or older in the nation's labor force in May 2005. Among the nation's workers are 80.0 million men and 69.1 million women. These men and women represent 66 percent of the civilian noninstitutionalized adult population. Percentage of full-time workers age 18 to 64 covered by health insurance during all or part of 2003. * 79 percent of workers receive paid holidays. * 18 percent have access to employer assistance for child care. telework opportunities and adoption assistance. * 11 percent have access to long-term care insurance. See Table 630, 2004-2005 edition. The annual median earnings, respectively, for male and female full-time, year-round workers in 2003. See Table 597, 2004-2005 edition. and about 293,000 work full time at both jobs. See Table 590, 2004-2005 edition. Number of female workers in educational, health and social services industries. More women work in this industry group than in any other. Manufacturing was the most popular industry among men, with 11.3 million workers. Percentage of workers 16 or older who work more than 40 hours a week. Eight percent work 60 or more hours a week. Table 584, 2004-2005 edition. Number of labor union members nationwide. About 13 percent of wage and salary workers belong to unions, with New York having among the highest rates of any state - 25 percent. North Carolina has one of the lowest rates, 3 percent. Table 640, 2004-2005 edition. Number of jobs added in Maricopa County (Phoenix), Ariz., between September 2003 and September 2004, the highest of the nation's 317 largest counties. Among these counties, Rutherford, Tenn., experienced the highest rate of job growth, 9.2 percent. The average time it takes to commute to work. Of the 233 counties with populations of 250,000 or more, Queens (41.7 minutes), Richmond (41.3 minutes), Bronx (40.8 minutes) and Kings (39.7 minutes) - four of the five counties that comprise New York City - experienced the longest average commute-to-work times. Workers living in Prince William County, Va. (36.4 minutes); and Prince George's County, Md. (35.5 minutes) - suburban counties located within the Washington, D.C., metro area - also faced some of the longest commutes. Percentage of workers nationwide who face "extreme" commutes to work - that is, they spend 90 or more minutes traveling to their jobs. Among the 10 counties with the highest-average commuting times, the highest percentages of extreme commuters were found in the New York City metro area: Richmond, N.Y. (11.8 percent); Orange, N.Y. (10.0 percent); Queens, N.Y. (7.1 percent); Bronx, N.Y. (6.9 percent); Nassau, N.Y., (6.6 percent); and Kings, N.Y. (5.0 percent). Not long ago, Mary Beth posted a blog on Web sites & other resources that exist as forums for people to report scams. Good thing I knew about some of them, because recently we've had our very own scam to contend with. Last March, I received a faxed invoice from ProMedia Resources, a company reputedly based in New Jersey. Soon after, a rep from the company called as a follow-up. He claimed that, five years earlier, we entered into an agreement to have our library contact information included on a CD-ROM directory of theirs titled the "American Business Resource Guide". The five years, he said, were up, and we owed them $400. This smelled fishy, as we don't enter into multi-year agreements as a matter of practicality. Nor are we interested in marketing our private services to the general public - we exist solely to serve the New York SBDC staff. I do research for a living. A preliminary investigation of mine found that no one affiliated with the Research Network in the past five years remembered entering into such an agreement. No paperwork exists showing a business relationship. A canceled check that the company supposedly had as proof of a down payment didn't pan out when I asked the rep for the check number. In continuing my research, I found it suspicious that a media company, in these modern times, could have such a low profile on Google - the company name doesn't appear much. The sales rep called again. In our conversation, he revealed that the company inherited the account from another firm, called New Line Publishing. This firm, sadly, has *plenty* of history on the Web. There are postings on several Web sites that tell stories similar to what I was experiencing, and to beware. When the rep called again, I told him that unless he could prove a business relationship in writing, then I felt no obligation to pay the debt. He wasn't happy with that, and said a supervisor would soon be in touch. A day later, I got a voice mail from that supervisor. In our office, we get an e-mail summary of the particulars behind any voice mail, including the phone number of origin. This call, I found, originated within the 514 area code, somewhere in Canada. Coincidentally, at this time I read an article in a February issue of the Chronicle of Higher Education that discussed how libraries were increasingly being targeted by con artists in a manner similar to what was happening here. Among other things, it said that such hustlers frequently operate out of Canada, as their telemarketing fraud laws were less punitive than those here in the states. All of this convinced me that we were being had. Instead of ignoring it (a tactic that never works), I spoke at length with an attorney at the Research Foundation Counsel's Office here in Albany. I also spoke at length with an investigator within the New Jersey Attorney General's Office. He soon passed me to another investigator, within the Union County Prosecutor's Office. Both have since told me that if ProMedia tries to contact me again, then simply forward them to either of these offices. In the mean time, we've received seven invoices from this "company" since June. Last Friday, while I was on a day off, a rep called here again - the first phone communication since June. I've not spoken with them (I've spent enough time on this already). I thought they were gone, but I was mistaken. The lessons I've learned - and ones that I'd recommend to any of your clients who feel like they're being scammed - are these: 1) Never assume that ignoring the problem will make it go away; 2) Even though it's only $400, it's our library's integrity that I'm protecting by pursuing this so diligently; and 3) The authorities are always interested in consumer fraud. Ours is likely one case among many, but, by speaking out, that's one more voice to bring these people down. It's still evolving here. I'll keep you posted on how it turns out. Mark Wan called the Research Network recently. Besides asking a reference question, he added a personal note: He's engaged! We at the Research Network extend our congratulations to Mark and his bride-to-be. Today's blog is the first of a new series, "The Occasional Friday Blog," providing news of interest to the NYS SBDC community on an irregular basis at the discretion of the Research Network. If you would like to contribute, please call the Central office at x.149. Electronic copies are preferred, but not required. Also, the Central office will need to get permission from the publisher to post articles on the Web site so be sure to include the date the article appeared and the name of the newspaper/magazine. Visit the News page for updates from around the state at http://www.nyssbdc.org/News/news.cfm. Send news items to Mary Beth, m.bobish at nyssbdc.org. Niederst, Jennifer. ; Freedman, Edie. How Many People Move Each Year – and Who Are They? Over the past quarter century I’ve heard dozens of different statistics about the percentage of people that move every year. These guesstimates have varied from a low of 10 percent to a high of 25 percent. When people move, your database takes a hit. So let’s look at who moves and why. Using the information provided by the U. S. Census Bureau, let’s clear up the confusion and misinformation. Out of a population of 282,556,000 people, 40,093,000 moved. That’s an overall percentage of 14.19 percent annually. 1,269,000 (3.17%) moved to a different country. The percentage of population that moves, when broken down by age, varies considerably – from a low of 1.55 percent to a high of 17.84 percent. Not only does the number of moves vary by age, so does the distance of the move. Around 4 percent of those over the age of 65 will move to a new county, yet approximately 30 percent of those aged 20-29 will move to a new county. Because there are so many Americans, even a small percentage represents a large quantity of people. If you consider a move outside of the same county a "long-distance" move – there are 17 million annual long-distance moves, with over a million of these moves outside the country. The major new move activity takes place within the 18-34 year olds, with people in their 20s representing the highest concentration. Once people reach their 50s, their move rate is minimal. And in people over the age of 70, the move percentages are below 2 percent annually. Couples with young children are the most likely to move a long distance. As people get older, the percentage who move decreases consistently. There are two exceptions to this trend. When people reach age 65, there is an increase in both the percentage of moves, and distance of the move – this is likely due to retirement. When people reach age 85-plus, there is an increase in the percentage of moves, and a decrease in the distance of the move. This is possibly due to a move to an assisted living facility. There is also a difference between the sexes. In the 20-24 age group, 32 percent of females will move each year, yet only 28 percent of males. By the age of 30-34, the percentages are almost identical: 20.3 for females and 19.3 for males. By age 40 this reverses, with 11.28 percent for females and 12.26 percent for males. It is critical for a list owner to understand these statistics. You can see how quickly a mailing list becomes stale. Nearly 33 percent of the people who move do not report their new address to the U.S. Postal Service, the compiler of the National Change of Address (NCOALink) file. Because of narrow restrictions regarding the use of the NCOALink file, and the unreported moves, that list updating process probably catches only 50 percent of the new moves. Some of the "new move" lists on the market combine multiple sources and can be used to identify a majority of new movers. Once upon a time, there was a client starting a gourmet food store. The client wished to obtain a list of business fax numbers for the neighborhood immediately surrounding the store with the intent of faxing lunch menus. A bit of digging at the Research Network revealed that while this advertising method appears inexpensive it is unlawful and therefore could end up costing the client quite a bit. According to a notice on the Federal Trade Commission web site, the Telephone Consumer Protection Act bans unsolicited fax advertisements. "The Act makes it unlawful for anyone to fax an unsolicited ad to another individual or business if there is no prior business relationship - and the penalty for each violation is $500 or up to $1,500 if a company willfully and knowingly violates the law." Now, what if the gourmet food store had established a prior business relationship with the recipient of the fax? Then, the gourmet food store could send the unsolicited fax. However, after January 9, 2006, the gourmet food store will not only have to have a prior business relationship but also must obtain a prior signed, written statement as evidence of the recipient's permission to receive the fax. Read the Press Release at the FCC web site. describes itself as the “web’s largest database of franchise and business opportunities” and offers a search facility by industry or investment level with various industries broken out into type of situation. It also offers articles and news on franchise business. This site offers a similar look-up including a good resources list naming well-known sources for franchise information. One can also look up company names directly. Also includes a franchisor directory as well as a supplier directory, books and reports. Slices and dices the similar information in some useful ways. Like Top-Home based, Fastest Growing, Top New and Top Low Cost among others. For a quick overview HowStuffWorks.com has an article on How Franchising Works by Lee Ann Obringer that offers pros and cons, rules, tips and association links. We also have in our library collection:the Franchise Opportunities Guide, and The 2005 Franchise Annual. I had a reference question recently. The bottom line was that the client thought that if he typed in a domain name and he didn't find it, it meant that it was available. Your clients should be checking the Internet Corporation For Assigned Names and Numbers, which will direct them to several other locations. Perhaps the most useful is the InterNIC, which provides: a roster of ICANN-accredited registrars (legitimate organizations that sell the domains), information regarding registered domains (who owns the domain names), a list of frequently asked questions (FAQs) regarding domain name registration, and more. I like to look at a couple sources for registered domains, so I also look at Whois Source. variation of an existing URL that would likely create "confusion in the marketplace", then the website holder could face litigation and lose the use of the website that they have presumably marketed. More about those Entrepreneur Start-Up Guides . . . Recently, I e-mailed a Word file that listed the remaining guides in the Research Network collection. While we were busy winnowing our holdings, we received a notice from a center that wondered why we allow only 2 weeks to view these books. This is one of those vestiges of the days when the Researh Network served the entire country. Back then, we had a much greater demand for the guides than we do now. Two weeks was a reasonable duration to allow people to view the guide, but not so long that others would have to wait too long. Obviously, we're not national anymore. As of now, the Research Network will allow these guides to be on loan to SBDC advisors & their clients for a period of three weeks. This includes the mailing time. It's something that should've been done many years ago. Sorry for the delay. This clause will appear in the upcoming revision of the SBDC's Standard Operating Procedures manual. In the near future, I'll be citing other changes to the SOP that affects how we do business with each other. Exciting stuff!! And if you get spam e-mail that you think is deceptive, forward it to spam@uce.gov. The Federal Trade Commission uses the spam stored in this database to pursue law enforcement actions against people who send deceptive e-mail. Many of our clients are setting up or growing businesses in rural settings. A source that looks at rural economics is the USDA’s Economic Research Service: Key Topics: Rural America. It looks at rural industry including farm labor, issues facing farms, how many farms are set up and federal funding distribution. You will also find Characteristics and Production Costs which looks at how production costs vary among producers. Agricultural Outlook: Statistical Indicators includes data on specific commodities, prices and expenditures. Rural America at a Glance is at http://www.ers.usda.gov/publications/AIB793/ and State Fact Sheets: New York is a summary of farm income and employment for NYS. Everyone in the country should soon be able to get a FREE copy of his or her credit report from each of the credit reporting companies once every 12 months. The Federal Trade Commission (FTC) has a brochure, Your Access to Free Credit Reports, explaining your rights and how to order a free annual credit report. The free reports have been phased in during a nine-month period, starting on the West Coast last December 1, to the Midwest on March 1, to the South on June 1. Starting September 1, the free reports will be accessible to everybody, including those in CT, DE, ME, MD, MA, NH, NJ, NY, NC, PA, RI, VT, VA, WV, DC, PR, and all U.S. territories. There’s a toll-free number to order the report: 877-322-8228, or complete the request form on the FTC site and mail it. The instructions read: "When you order, you need to provide your name, address, Social Security number, and date of birth. To verify your identity, you may need to provide some information that only you would know, like the amount of your monthly mortgage payment." HOWEVER, an article in the August 2005 CONSUMER REPORTS states that credit bureaus sometimes try to sell this free information. If you have any trouble, contact the FTC by web or by calling 877-382-4357 (877-FTC-HELP). Put a fraud alert on your credit reports (companies should call you to verify your identity whenever they check your credit report with the intention of opening an account in your name or making any changes to an existing one. ), at all three credit bureaus -- Equifax (800-525-6285), Experian (888-397-3742) and TransUnion (800-680-7289). And do so every 90 days. Consider signing up for a credit monitoring service. Tell your beneficiaries, since the Social Security numbers of the beneficiaries on your 401(k) account or life insurance policy might be compromised as well. Change your bank account numbers. Insist on identifiers other than your Social Security number, for health insurance ID, for instance. Opt out of pre-approved credit offers by calling the Automated Credit Reporting Industry (888-567-8688). When doing research on non-profits, I often check GuideStar.org. GuideStar provides data on more than 1.5 million non-profit organizations. When you search the GuideStar database without registering, you find a non-profit by its name, city, and state. You'll see its NTEE (National Taxonomy of Exempt Entities) code, and whether contributions to it are tax deductible. *Form 990 is an annual reporting return that certain federally tax-exempt organizations must file with the IRS. It provides information on the filing organization's mission, programs, and finances. If you're looking to work with a non-profit or thinking about donating to an organization, GuideStar.org can help you become better-informed, and make more effective decisions. We often go straight to Occupational Outlook Handbook and certainly you will recognize the reports from that source from enquiry packets. A source you may not check as often is the Occupational Outlook Quarterly Online. While poking around I came upon the You’re a What? feature. This quarter they focus on a modelmaker, past issues have been flavorist, and perfusionist. But they also covered acupuncturist, corporate concierge, dog walker, and greeting card writer. You may have seen these two page summaries in the research packets you have received from us but the site has little bits like the Grab Bag. The current issue discusses the locksmithing occupation is growing faster than the average for all other fields. How we spent our time offers a simple breakdown of how much time is spent at various activities like working, leisure, and sleeping. I was looking for more cool resources for you when I came across a November 2003 article in Entrepreneur magazine online, with the title shown. While the other librarians and I have cited some of the sources they've included, there are a few others that you might want to check out. Business.gov: "Sponsored by the SBA, this site asserts that its purpose is to make the relationship between business and government more productive." U.S. Postal Service: "The USPS delivers when it comes to helping you figure out the ins and outs of shipping your precious letters and packages. Of particular interest: a section on direct mail—how to do it, rates and mailing info, templates, FAQs and more." Also in this section: SCORE and something called the Small Business Development Centers. Export.gov: "Register to receive the Export.gov newsletter, and you'll get monthly updates on feature articles, trade events and new market reports." FedBizOpps: "This site boasts it's the 'single government point-of-entry for federal government procurement opportunities over $25,000.'" The page also features Government Branches and Agencies, Legal Aid and Information, Money Matters, and Research and Business Development. I'm not sure I'd agree with the assessment that one "can't live without" some of these sites, but many are quite useful. Sometimes, a library is improved by what it removes, rather than what it adds. Since 1992, the Research Network has been buying, cataloging, and lending Business Start-Up Guides, as published by Entrpreneur magazine. These are guides that are regularly borrowed by you on behalf of our clients. At the beginning of 2005, we had exactly 200 guides in the collection. However, a recent review of our holdings shows that 75% are more than 10 years old. I knew we had some dated guides on the shelves - however, I didn't realize it was that prevalent. In traditional public & academic library settings, items that are this old are kept as a matter of historical record. We don't have that luxury here - there's simply not enough space, nor are these guides of any practical value to the clients we serve. Given this, we've embarked on a massive clean-up effort. Any start-up guide with a copyright date of 1994 or earlier will be removed from the collection. 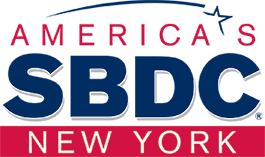 An updated list will be created (with a copyright date listed for each guide) and distributed to every advisor in the New York SBDC. (This should be available by the end of this week.) I will be contacting Entrepreneur to see if any of these titles have been updated (many have not). If funding permits, I'll purchase additional titles published since 1995 that we don't currently have. In addition, we'll be adding text to the upcoming revised SBDC Standard Operations Procedures (SOP) Manual. From here on out, policy will state that these guides will be in our collection for no more than 10 years. This project is long overdue. Provision of accurate & timely information is our reason for existing. Removing these guides is done with that mission in mind.